From the Contact page you can see the number of times they have logged into the portal and the last login date. You can also reset the contact's portal password using the Reset Portal Password button. This will generate a temporary password and immediately email it to the contact's email. 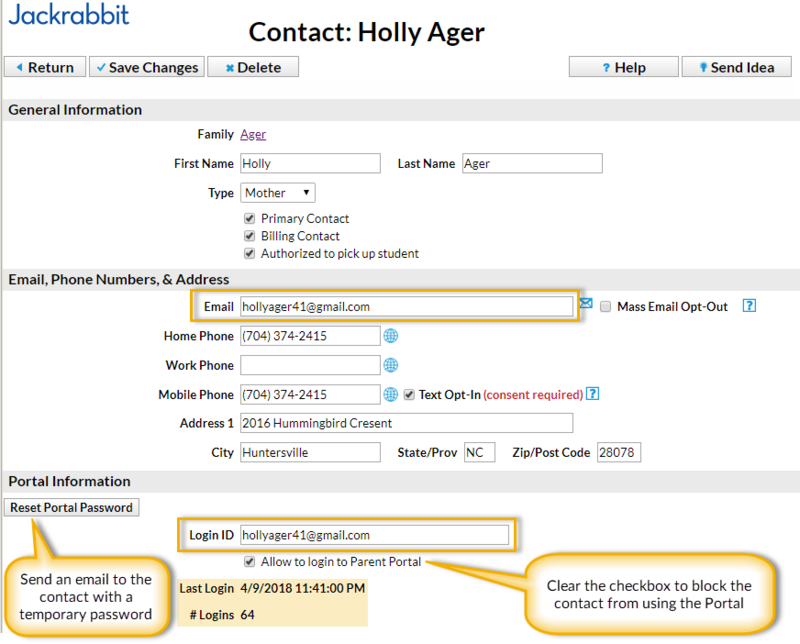 Parents can reset their own passwords with the Reset Password link that is located on the Portal login page. Encourage them to do this so that your staff does not need to reset it.